I love a trailer that makes me want to run out and buy the book and this trailer makes me want to do that right now. This has it all, adventure, humour, Paris and a cat pilot just for starters. I know this is one book the children at school and I will be fighting over to get to read first when it comes out. As the book buyer for the library I like to think I will be the first but I can never resist their pleas when the children beg to be the first to read a new book. I think the queue for this one might be long judging by this very cool trailer. While you wait for the book to be released (any day now) do take time to check out Donovan’s website, especially his links to some cool free downloads. ‘Flying Furballs’, a hilarious action-packed adventure series, captures the romance and excitement of the era at the dawn of aviation — set in a world of cats verses dogs. Put simply, Flying Furballs is pussycats, planes and Paris. Our hero is Claude D’Bonair, a young pilot in the cat air corp, keen to prove his worth to the older pilots and live up to the memory of his father. Will cats and dogs ever live in harmony again? Will Claude survive with his nine lives intact? In Book 1: Dogfight, Claude must fly a secret and dangerous mission deep into the heart of Dogz held territory to save the air corp’s most famous dogfighter, Major Tom, who is being held prisoner in the Dogz castle HQ. If he fails it could spell cat-astrophe for the whole of katdom. I thoroughly enjoyed this novel all about a family of rats on their quest to find Ratenburg. After an explosion destroys their home Spinnaker Rat and his family are left with nothing. They make the difficult decision to search for Ratenburg, a little known but much talked about safe-haven for all rats. Their journey is dangerous and long. They meet all sorts of danger head on. Cats, dogs, hawks, rat traps and many other hazards get in their way but the “humming beans” may just be the worst. And what are “humming beans” you ask. Well, I think you really do need to find a copy of this book to find out for yourself. This is a sweet novel about facing your fears, taking risks and finding courage. Readers will love biting into each chapter as Spinnaker, his wife Retsina and the four ratlets face even more dangers. The humour and banter between different family members makes this family so real. 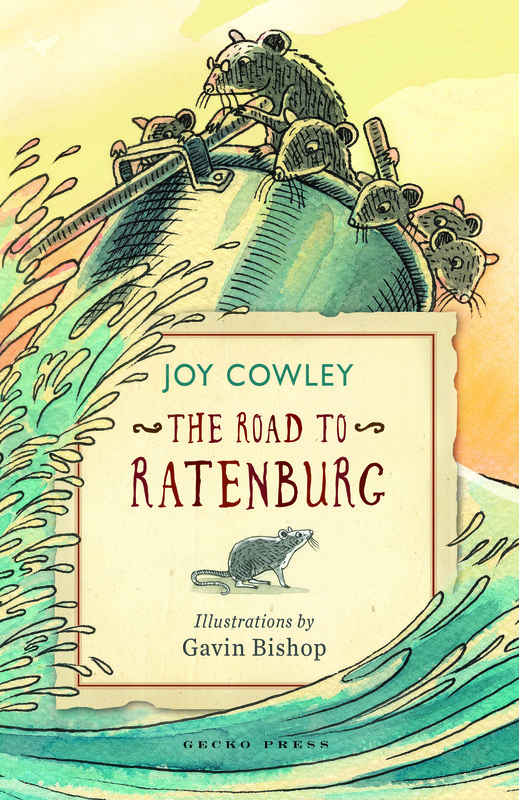 The combination of Joy’s warm writing and Gavin’s wonderful illustrations bring the rat family to life and even if you don’t like rats,(like me) you will fall in love with these ones. This is great for 8-10 year old readers but would be perfect for a teacher read-aloud too. Quality all the way. Some things are too good not to share. What a perfect book for a movie adaption and who better than director Tim Burton for this one. Do try and read the book first but don’t miss the movie when it comes out at the end of September this year. I will be in that queue! I love this trailer. Honor is just gorgeous. She tells us all about the book she co-wrote with her mother and her bouncy nature is so delightful that no matter how many times I watch it I always end up smiling. “When Elektra is discovered by an acting agent, she imagines Oscar glory can’t be far away, but instead lurches from one cringe-worthy moment to the next! Just how many times can you be rejected for the part of ‘Dead Girl Number Three’ without losing hope? And who knew that actors were actually supposed to be multi-lingual, play seven instruments and be trained in a variety of circus skills? I certainly hope this book makes to New Zealand shores as I suspect this is going to be a hit. I can’t see the loophole. Since the guinea pig there’s been nothing. Months now without Rosa killing as much as a mosquito. 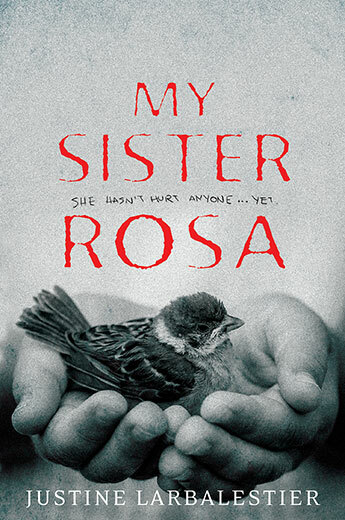 My sister Rosa is a powerful novel, dark and disturbing. It moves along at a steady pace but all the while Rosa and her manipulating and psychopathic tendencies eats away at you until you are hit in the face with the reality that Rosa could indeed be a monster. All Che wants to do is keep an eye on his younger sister Rosa and stop her from hurting anyone, for Che is the only one who understands her, who knows what she is truly capable of. Che is caught between loving his little sister and hating her too. However, at 10 Rosa is cunning and bright and always ahead of Che. As a reader, all I wanted was for Che to be happy, to find the girlfriend he always wanted and to spar in the ring. Boxing is his only release from the psychological games Rosa plays. He also wants to go home to Sydney but as always, Che has very little control over his life. I was sitting on my front porch enjoying the sun while reading this book today and it got to the stage where I couldn’t put it down. I couldn’t focus on anything other than Rosa and I felt sick just thinking about what she was doing. Long after I finished the book I was still thinking of Rosa as I worked my way through housework and gardening. Rosa was everywhere. Her impact was overwhelming and left me stunned. I love this book. I love how Rosa and Che and everyone else became so real that I was at times out-raged, upset, and even a little freaked out. Not only is this a great read but I personally think it would be perfect to turn into a movie. 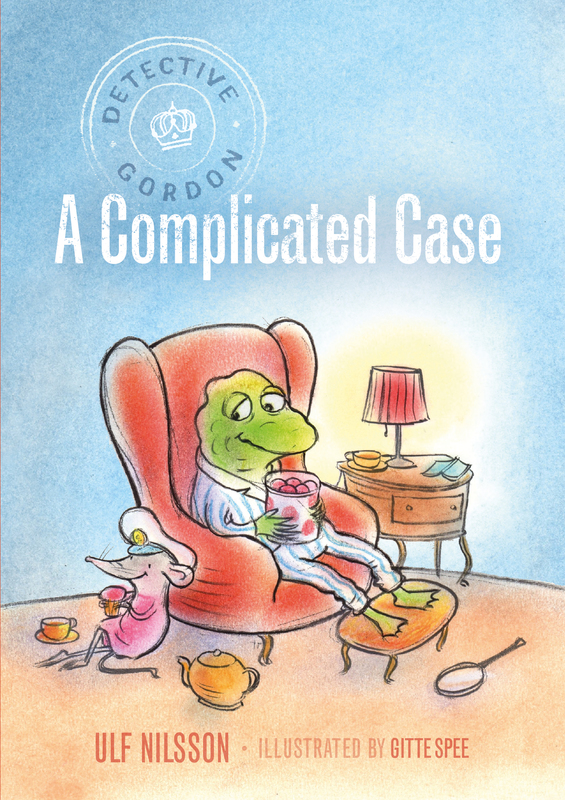 This is the second book about Detective Gordon and Buffy. They work together as police detectives solving mysteries and eating lots of cake. They are also best of friends and this shows through in the way they talk to each other and support each other. While the first book may have seen their introduction, this second book deals with their growing friendship and Buffy’s growing confidence to do the job she is assigned, often learning to trust her own judgement and take the initiative. It is lovely to see characters grow. Even through moments of fear both characters continue to be brave and remain true to each other and their jobs. It is a warm, honest story and a delight to read. There is something not right in their forest and investigations lead them to many cases of bullying. It is up to Detective Gordon and Buffy to find out who is doing what and why, but no one is willing to talk. Buffy has her own little secret but as always, Detective Gordon is there to help and he does so without any judgement or criticism. Newly independent readers will love this first chapter book. Short chapters and beautiful illustrations make this ideal for children to gain confidence in their reading. The humour is quite delightful. Watch out for the ending and the smile on Buffy’s face. Bullying happens in most schools and there are always two sides to a story and while this may seem a simple story to read (and it is), it is also a very worthwhile read-aloud for teachers to use in class. While bullying isn’t the overall theme, it is a chance to recognize it’s effects and for teachers to open up discussion with their students.